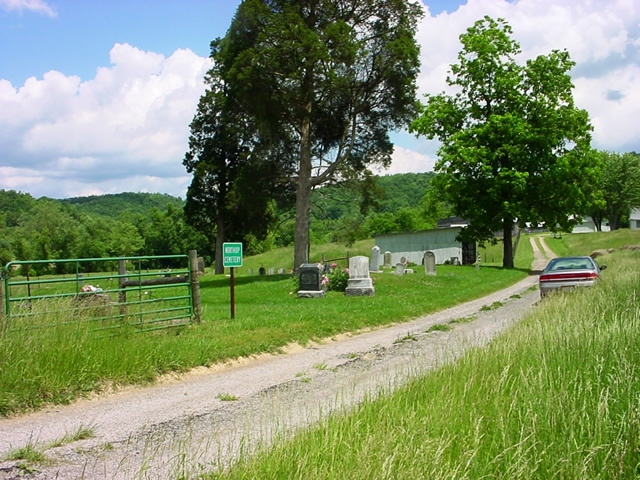 The cemeteries of Gallia County were censused between 1976 and 1983 by a group of volunteers chaired by Mary James. 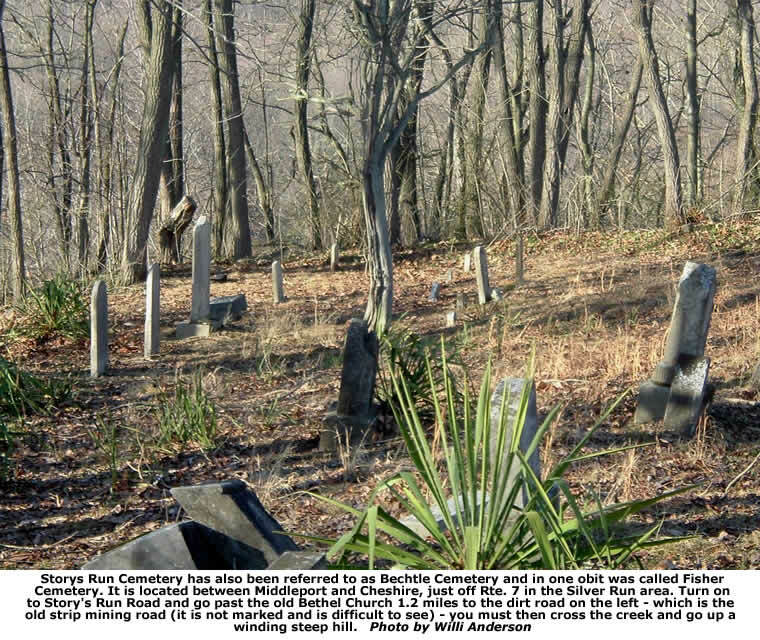 At that time Mary consulted many resources which led to the discovery of over 500 cemeteries in Gallia County. 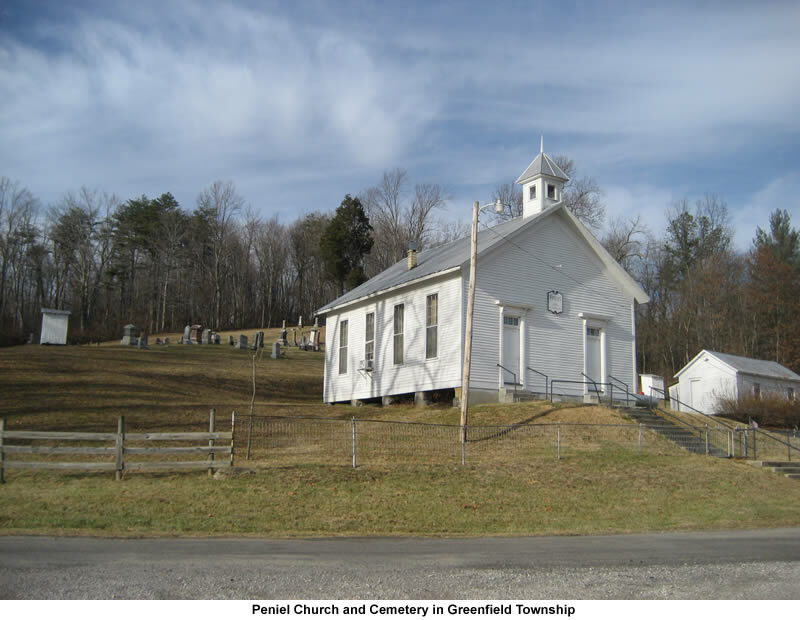 The Ohio Genealogical Society cemetery project chair has told us that so far Gallia County has reported more cemeteries than any other county in Ohio. Mary consulted old lists compiled by such groups as the DAR, State Highway Patrol, Soldiers' Burials and a WPA listing as well as topographical maps. She also used Mrs. Anna Zimmerman's notes. Anna was well-known throughout the county for her genealogical efforts. Mary also used newspaper obits and spoke with residents, farmers, hunters who knew the land, as well as funeral home directors. One local funeral home director, Bud Stevers, was very valuable with his advice and help. The cemeteries and their directions are a result of this work. To search for individual names click on Index in the left hand column. Amos Cemetery: Located in section 11 west of Gravel Hill Road on Coal Hill. It’s on top of a ridge that’s been strip mined around. Number of tombstones: 2. Baker Cemetery: Located in section 17 south east off of Roush Road about ¼ of a mile on strip mine road. Number of tombstones: 5. Berry I Cemetery: Located in section 17 west of State Route 7 across the railroad tracks. This cemetery was destroyed years ago and markers are flat on the ground in the brush. Number of surviving tombstones: 2. Berry II Cemetery: Located in section 20 on George’s Creek Road at Lane farm . Two reported burials. No tombstones. 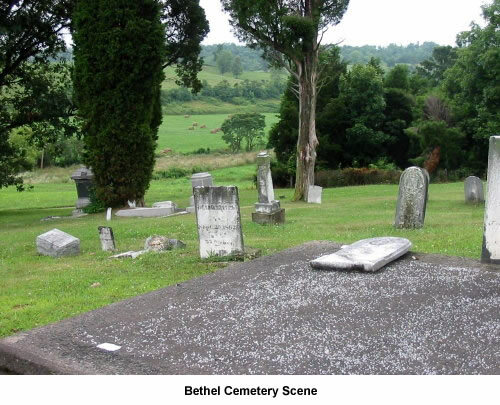 Bethel Cemetery: Located in section 32 at the intersection of Kerr-Bethel and Bulaville –Porter Roads. Number of tombstones: 200+. Bing I Cemetery: Located at intersection section 22 and 23 on a knoll about 100 yards from the southwest side of Bulaville-Addison road about 1.8 miles from State Route 7 Number of tombstones: 14. Campaign Cemetery: Located in Section 36 at Campaign Church on Campaign-Popular Ridge Road. Number of tombstones: 200+. Coalman Cemetery: Located in section 34 on east side of Kemper Hollow Road (property of Ural Humphrey) Number of tombstones 9. Daniel Cemetery: Located in section 29 on south side of Bulaville-Addison Road, wooded plot south of Campaign Creek, near the intersection of Reese Hollow Road. Number of tombstones: 10 + unmarked. Fulton Cemetery: Located in section 27 on west side of Bunce Road about 1 ¼ miles from Bulaville Village. Number of tombstones: 38 + unmarked. George Cemetery: Located in section 16 on top of a ridge near Ohio River north of Addison. Number of tombstones: 3. Guthrie Cemetery: Located in section 8 about 2 miles north of Kanauga and west of State Route 7. Number of tombstones: 10. Hern Cemetery: Located in section 14 about ½ of a mile west of State Route 7. No surviving tombstones, 2 reported burials. Johnson Cemetery: Located in section 21 about ½ of a mile west of Polecat Road. Number of tombstones: 3 + unmarked. Kincaide Cemetery: Located in section 15 at the end of Polecat Road. Number of tombstones: 1. Leonard Cemetery: Located in section 16 on eastern side of Addison-Bulaville Road about 1 ½ miles from Addison Village. Number of tombstones: 11. Louks Cemetery: Located in section 16 on top of first hill north of the Tara Apartments. Number of tombstones: 8. Maddy Cemetery: Located in section 14 north of Georges Creek Road and northwest of the substation. Number of tombstones: 177 +. 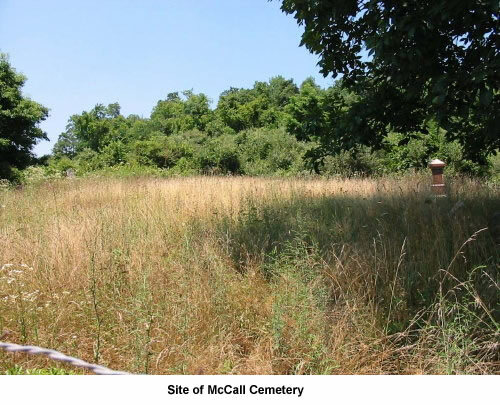 McKown Cemetery: Located in section 15 about ¼ of a mile east of Polecat Road near a roadway leading to an oil well. Cedar tree marks cemetery. Number of tombstones: 4. Rees Family Cemetery: Located in section 8 in a pasture adjacent to the Guthrie Cemetery west of State Route 7 just north of Kanauga. Number of burials reported: 4. Rife Cemetery: Located in section 29 about ½ of a mile northwest of Village of Bulaville. Number of tombstones: 350+. Rothgeb Cemetery: Located in section 11 west of State Route 7 and about 1 mile south of Kyger Creek Power Plant. Number of tombstones: 11. Shaver Cemetery: Located in section 29 east of Blazer Road ¼ of a mile on a wooded ridge by a long needle pine tree. Cemetery has been demolished. Surviving tombstones:1 and one footstone. Swisher Cemetery: Located in section 12 south of Roush Road near intersection of Roush and Gravel Hill Roads. Number of tombstones: 6 + unmarked. Trickler/Trackler Family Cemetery: Located in section 11 west of Gravel Hill Road, on Coal Hill. Cemetery is on top of hill and has been strip mined around it. Number of tombstones: 5. Unknown Cemetery: Located in section 32 in the lower part of northwest quarter is the grave of a colored baby, name unknown. At the time of the burial property was owned by Samuel Johnson. No tombstone. Unknown Cemetery: Located in section 34, old lists mention “unknown” in this section. Nothing further found on this cemetery and it maybe same as Coalman Cemetery. Vance Cemetery: Located in section 29. This cemetery was moved from Blazer Road to Rife Cemetery. Reference: Floyd Blazer. 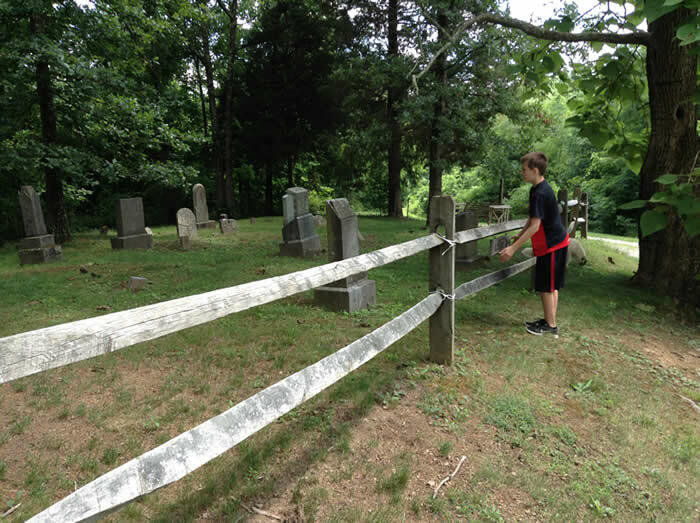 Viars Cemetery: Located in section 14 about ¼ of a mile from Addison Bulaville Road. Cemetery is on property of Floyd Leonard on second hill east of Leonard’s house. No tombstones except fieldstones but 5 graves reported. Boice Cemetery: Located in section 23 on Jesse Creek on a high hill south of Clair Athey’s house (surrounded by concrete wall). Number of tombstones: 2. Coughenour Cemetery: Located in section 34 on the north side of State Route 554 and Africa Road. Number of tombstones: 1. Darst Cemetery: Not located. Several source list cemetery and indicated that the grave of Nathaiel Darst was moved from there possibly to Poplar Ridge. Gardner Cemetery: Located in section 3, in the western part of the section, about a mile from Schuler Store. Walk, following old township road (across from the store) to end of road. Straight up over rocky terrain to cemetery marked by a cedar. Number of tombstones: 2. 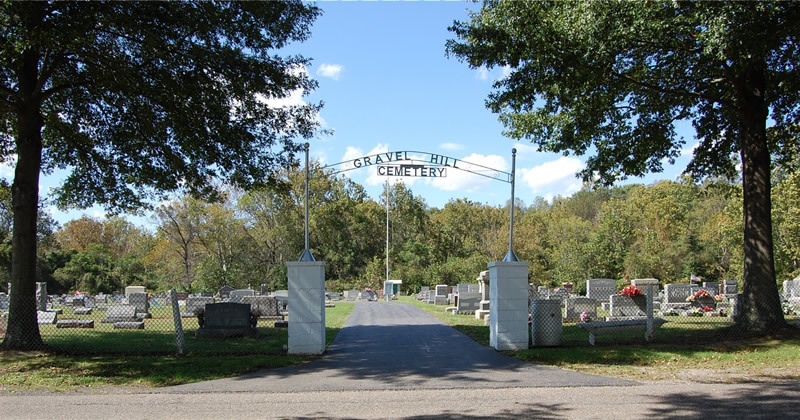 Gravel Hill Cemetery: Located in section 7 on the west side of Gravel Hill Road at the intersection of Turkey Run Road. Number of tombstones: 3250+. Grover Cemetery: Located in section 17 about 1/ mile north of Jesse Creek Road, Turn at Malinda Bradbury property and look for large cedar. Number of tombstones: 2 +1 extra footstone. Halfhill Cemetery: Located in section 34 on the east side of Ward Road about 1 mile north of State Route 554. Number of tombstones: 6 + unmarked graves. 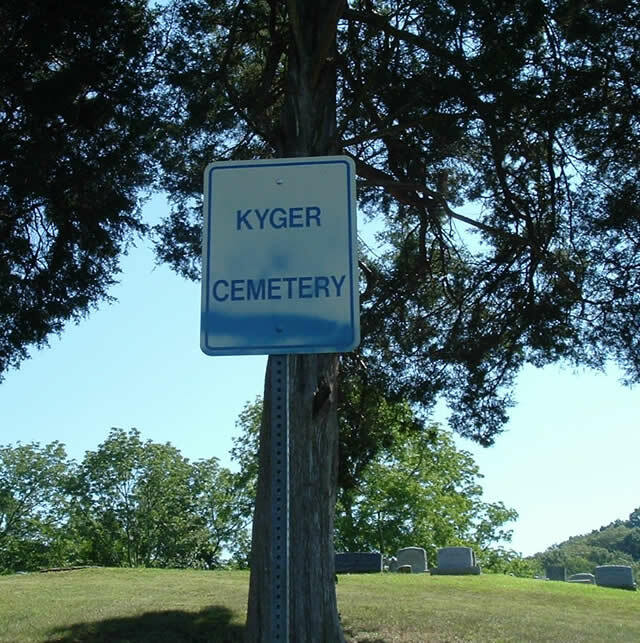 Kyger Cemetery: Located in section 16. Turn north in Kyger Village from Route 554 onto Cemetery Road go about ½ mile and cemetery is on the east side of the road on a ridge. Number of tombstones: 175 +. Lemley Cemetery: Located in section 26on Poplar Ridge Road. Number of tombstones: 32 + unmarked. Manley Cemetery: Located in section 5 on Paul Searls’ property, in a wooded area about 1 mile north of Story’s Run Road. It’s on top of a ridge practically on Gallia-Meigs line. Number of tombstones: Only 1 found? 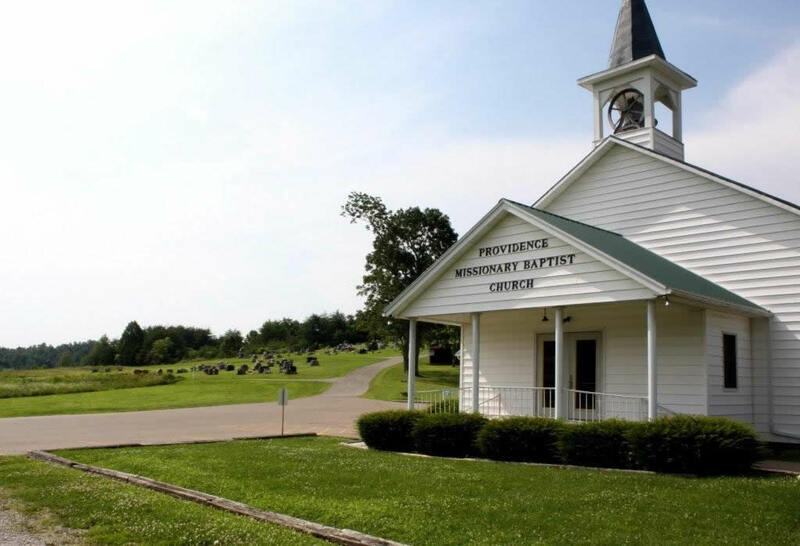 McCarty Cemetery: Located in section 7 on Turkey Run Road in sight of Gravel Hill Cemetery. Number of tombstones: 46 + unmarked. Moore Cemetery: Located in section 19 about 200 feet east of intersection of Moore-Jerico Road and a strip mine road. Number of tombstones: 5. Paulins Hill Cemetery: Located in section 17. Turn off Route 554 onto Story’s Run Road and go north ½ mile to intersection of Story’s Run, Jesse Creek and Paulins Hill Rd. Go straight ahead ¼ mile and cemetery is west of road. Number of tombstones: 1 + 3 field stones. Poplar Ridge Cemetery: Located in section 33 between Poplar Ridge and Wheaton Road. Number of tombstones: 450+. 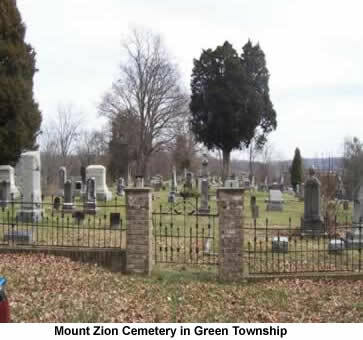 Rife Cemetery: Located in section 9 west of Route 554, near Old Kyger Church, on property of M.P. Darnell. Number of tombstones: 21 + unmarked. Roush Cemetery: Located in section 8 opposite intersection of Route 554 and Roush Lane. Number of tombstones: 59 + unmarked and unreadable. Roush Cemetery: Located in section 10 about ½of a mile north of Route 554 on property owned by Joe Willis. Number of tombstones: 1 + several unmarked. Rothgeb Cemetery: Located in section 28 on the north side of State Route 554 (near intersection of Africa Road and Route 554) Number of tombstones 4+ unmarked. Russell Cemetery: Located in section 7 in one of newer section of Gravel Hill Cemetery. This cemetery was moved from Van Zant Road because of a coal belt line from Gavin Electric Plant. All new monuments were provided. Number of tombstones: 13. Scott-Roush Cemetery: Located in section 7 in rear of newer section of Gravel Hill. These cemeteries were moved from Stingy Creek Road. Three graves are from John Roush place and the rest from the Scott Cemetery. Number of tombstones: 21 + 16 markers, marked as Unknown. 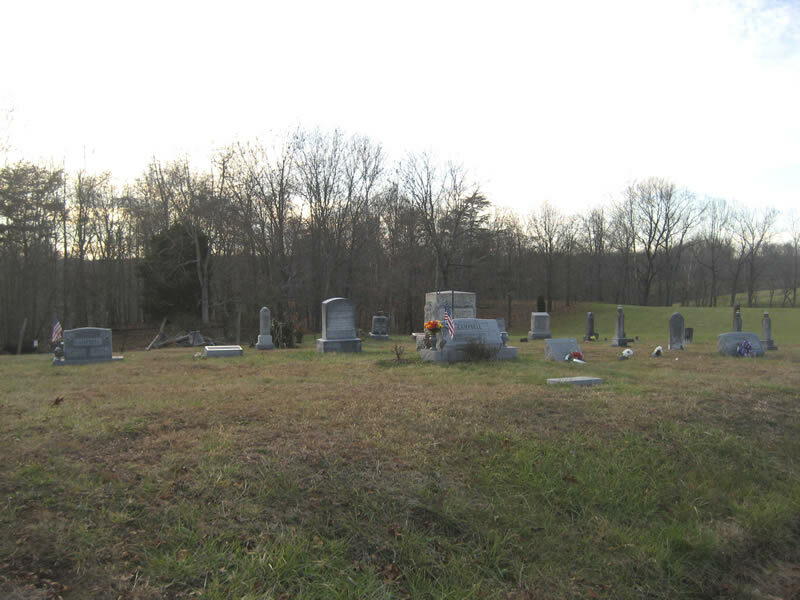 Shuler Cemetery: Located in section 25 about 1 ½ miles east from Poplar Ridge Road on a strip mine road (in danger of being lost as early as 1975). Number of tombstones: 25 + unmarked. 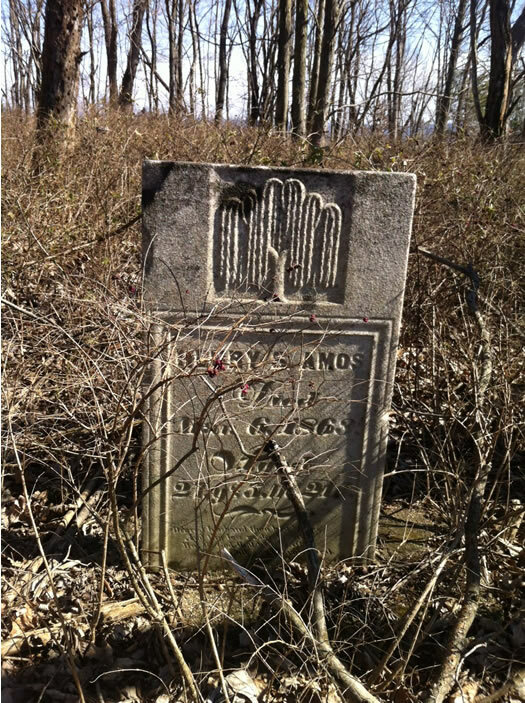 Story’s Run Cemetery: Located in section 4 on the south side of Story’s Run Road about ½ mile from Gallia-Meigs line. (Maybe lost because of strip mining) Number of tombstones: 33 + unmarked. Thomas Family Cemetery: Located in section 20 on east side of Little Kyger Road in a wooded area. Number of tombstones: 7. Van Zant Cemetery: Located in section 35. Take Rt. 554 from Cheshire past the village of Kyger. Turn right onto Van Zant road. There is a sign there for the AEP wetlands. Go through the intersection of Van Zant and Ward Roads. The road for the cemetery turns off to the right, up a steep hill approx. 30 ft. from the intersection. There is no sign for the cemetery at the road. Number of tombstones: 86 + unmarked. White Oak Cemetery: Located in section 31 behind White Oak Church on Nibert Road. Number of tombstones: 6. Gibson Cemetery: Located in section 26. Two burial sites. No stones. Canaday Cemetery: Located in section 24. Number of graves unknown. No surviving tombstones. Potters Field: Located in section 23. No markers located. Asbury Cemetery: Location in section 25. There are burials here but no tombstones currently present. Blazer Cemetery: Located in section 15 on the south side of State Route 141. Burials here but no tombstones currently present. Mitchell Road Unknown Cemetery: Located near section line of 17 and 18 on north side of State Route 588 near junction with Mitchell Road. No markers but sunken gravesites present. Questel Cemetery: Located in section 20 less than 1/4 mile off Blessing Road as you come from Northup-Patriot Road. Number of tombstones: 9 plus possibly 12-14 unmarked graves. Willey Cemetery: Location unknown, but mentioned on old cemetery list. B.F.Evans Cemetery: Located in section 13 in the southeast part of the section about 1,500 feet south of Symmes Creek Road on property owned by Steven’s (1978). Number tombstones: 2 (over grown so possibly others). LeeII Cemetery: Located in section 33 on the south west side of Betz Road about ½ out road and ¼ mile into woods. (near the Lawrence Co. line) Number of tombstones: 2 + at least 11 unmarked. Stewart Cemetery: Located in section 20 in the southwest quarter. Three cedars on a knob mark location. (Now on government owned property) Number of tombstones: 1 footstone (E.C.) and at least 4 field stones. Unknown Cemetery: Located in section 27 on the Jesse Crews Road on the Haney property. The stones have been removed and used in various locations on the property. Unknown Cemetery: Located in section 22 about ¾ of a mile northeast of C.H. & D Road. Number of tombstones: possible sandstone markers? Woodruff Cemetery: Located in section 32 about 100 feet north of a government survey marker at the intersection of sections 32 and 33, in the southwest corner about ¼ of a mile south of Dry Ridge Road. Number of tombstones: 2 fieldstones. Woods Cemetery: Located in section 21 on the east side of the C.H. & D. Road in the north east quarter. Number of Tombstones: 26 and at least 18 unmarked. Blankenship Cemetery: Located in section 36. Although there are known to be graves here, there are presently no markers. Fulks Family Cemetery: Located in section 25 of Guyan Township about one-half mile north of the Lawrence County line near Scottown. It is across Guyan Creek from St. Rt. 218 which runs adjacent to it. In 2011 it is just north of the Lafe Barry property which is on the same side of the creek as the cemetery. 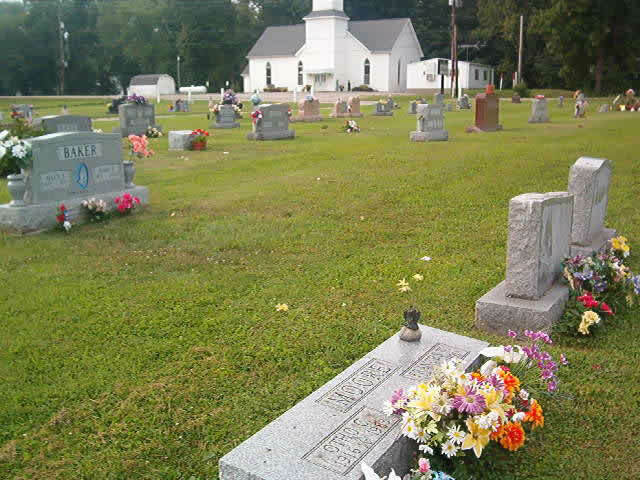 Good Hope Cemetery: Located in section 20 at Good Hope Baptist Church. Number of tombstones: 446 plus 17 unmarked graves. Guyan Townhouse Johnson Cemetery: Located in section 16 about one-fourth mile of Route 218 on the west side of Guyan Townhouse Road. Number of tombstones: 42 with possibility of 20-30 more unmarked graves. 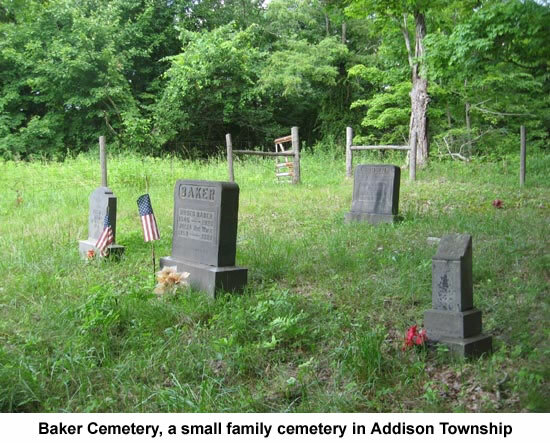 Halley-Haskins Cemetery: Located in section 15 about 50 yards north of Route 218. Number of tombstones: 42 plus about 20 more unmarked graves. 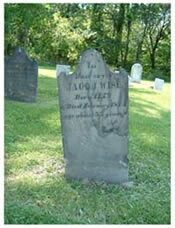 Jeffers Cemetery: Located in section 31 about 100 yards west of township road no. 18 where it enters Lawrence County. Number of tombstones: 5 plus several unmarked graves. Paregon Cemetery: Located in section 30 north of State Route 790. There are graves here but no markers. Sheets Cemetery No. 1: Located in section 30 near the line of section 36, Cemetery Road, just at the junction of Route 790 and Saundersville Re. Number of tombstones: 63 plus an estimated 12 unmarked graves. Siloam Cemetery: Located in section 29 about one-fourth mile north of the site of Siloam Church and one-half mile north of Rocky Fork Road. Number of tombstones: 16 plus several unmarked graves. Simms Cemetery: Located on the line between sections 13 and 14, one-fourth mile south of the junction of Williams & Law Southers Roads. Number of Tombstones: 14 plus a dozen or so unmarked graves. Stover, Jubal Cemetery: Located in section 28 near the line of section 22. South of Rocky Fork Road and about one-fourth mile on a high point east of Stewart Chapel Road and north of Townhouse Road. Number of tombstones: 0 but has the appearance of having about eleven graves. Unknown Cemetery: Located in section 36 off Route 790 on the east side of Saundersville Road. There is now no trace of a cemetery here, but it is thought there are 5-6 graves here. Bane Cemetery: Located in section 17. No marked graves. Calhoun Cemetery: Located near the line of sections 27 and 21 near aone the east side of where Hamilton Road ran. Number of tombstones: 4, but many unmarked graves. DeWitt-Serrier Cemetery: Located in section 21 on the north side of Ingalls Road. No tombstones, but there are several graves here. Fillinger Cemetery: Located in section 31 on the west side of Martt Road. Number of tombstones: 3 but about three more graves marked with stones. Harrison-Crinner Cemetery: Located in section 12 on the south side of Raccoon Creek. All markers destroyed. Houck Cemetery: Located in section 32 one and one-half miles east of junction of Houck and Lincoln Pike roads. Number of tombstones: 131 plus 7 unmarked fieldstones. Lewis Cemetery: Located in section 16. In the woods on top of a hill on the right of Lewis Road about one-half fmile from State Route 218. Number of tombstones: 12 and possibly some more unmarked graves. McCall Cemetery: Located in section 29 on the west side of Lincoln Pike about 1 mile south of junction of Smoky Row Road. Number of tombstones: 31 plus many unmarked graves.